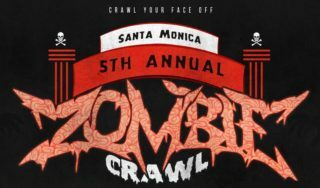 Live out your walking dead dreams at the 5th annual Santa Monica Zombie Crawl Saturday, October 28! 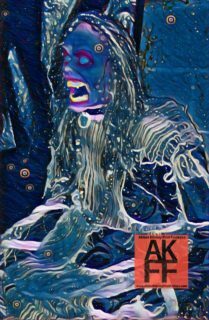 The Zombie bar crawl starts at the Santa Monica Pier at 6pm where walkers spill there guts limping and growling thier way through the city for drinks and food specials happening all night. The party continues at the official Zombie Crawl After Party at 1212 Restaurant! 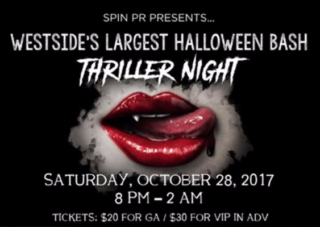 Saturday, Oct. 28, from 8pm-2am join 1212 Restaurant on the Promenade, for thriller dancing, video mash-ups, spooky drink specials, scary photo booth pics, and costume contest with the best demons and angels in Santa Monica. Bottle & Table Service available. Celebrate Halloween the right way and get your bloody hands on tickets for you and your squad! 1212 Santa Monica Bl, Santa Monica, CA. Start your Halloween festivities with live music, mashed up with spoken word, poetry, love songs, and comedy with Paulie Dee, Gerry Fialka, Tryg Hanson and other spooky guests and audience participation if you dare! October 28 from 7pm-8:00pm, followed by live music with Eric Ahlberg from 8pm -9pmish. 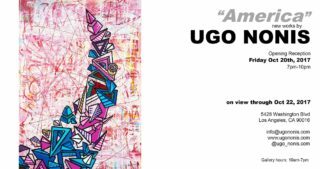 French painter and LA-based contemporary artist, Ugo Nonis will be having an opening solo show titled “America” on October 20th from 7pm-10pm at The Castelli Art space. Nonis will showcasing 20 new paintings! Exhibit up until Sunday,Oct 22. 5428 Washington Blvd, Culver City. Photography Events: Catch 2 great photography events this Saturday, October 14th! The most-recent work from Aurelia Dumont’s series “Exceptional Individuals” will be on display until October 26! SMC students make sure to stop on by! Opening: October 14, 6pm. Exhibition located on 2nd floor of Drescher Hall, Santa Monica College. 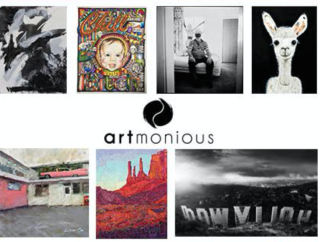 Join Artmonious and celebrate the official lauch of their art app this Saturday, October 14 at 7pm. Catch featured artists, such as Alex Gross, Timothy White, Stephanie Cate and more! 1306 Abbot Kinney Bl, Venice, CA. 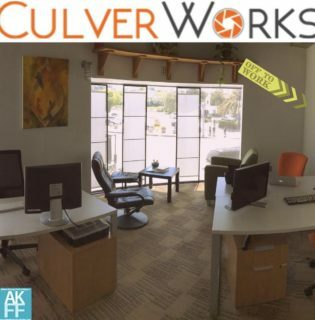 CulverWorks, the co-working space in the heart of downtown Culver City has several offices that are available NOW! Book a tour and grab your dream office space while they last! Workspace already taken? Another option is the Cafe/Flex membership, only $250 a month (WOW) check it out! AKFF VIP Club members get five day passes for $75 bucks, saving you $50! AKFF Is Back On the Blvd November 3! Get The Latest on Abbot Kinney First Fridays!